Illustrator and Summerhall resident Camilla Seddon, talks to Summerhall TV a year and a half since we first met her. Working primarily in watercolour and pen, Camilla produces fine art prints exploring wildlife, landscapes and traditional architecture. 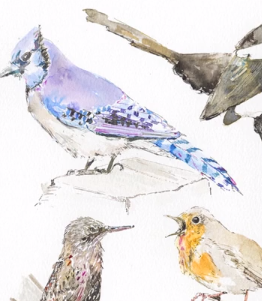 We get an insight into Camilla’s working practices and see how her work has developed.